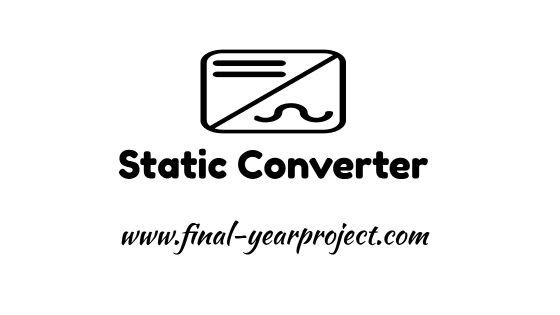 Static Converter is a good electrical project which tells about the static converter in Railways. 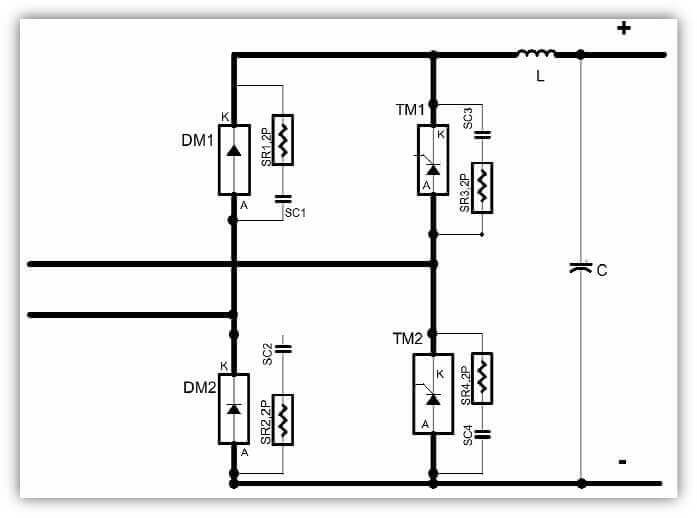 The static converter is made using a half controlled single phase bridge rectifier at the input, a DC link filter and a three phase IGBT based PWM inverter. All functions of the converter are controlled through 32 bits Digital signal processor (DSP) together with an EPLD & host of digital gates and analog amplifiers. You can also Subscribe to FINAL YEAR PROJECT'S by Email for more such Projects and Seminar. All trains are provided with a battery to provide start up current and for supplying essential circuits, such as emergency lighting, when the line supply fails. The battery is usually connected across the DC control supply circuit. Generic term for any solid state electronic system for converting alternating current to direct current or vice versa. Where an AC supply has to be converted to DC it is called a rectifier and where DC is converted to AC it is called an inverter. The word originated in the US but is now common elsewhere. The input section consists of input fuse (MF), Metal oxide varistors and input bus bar. Input fuse is used to protect the converter and for ensuring safe operation of the converter under worst input conditions. Metal oxide varistors (MOV) are used to protect the converter from surges. The rectifier section is made using a half controlled single phase bridge rectifier. This consists of a half controlled bridge rectifier, made up of 2 thyristors and 2 diodes. When the input AC voltage is positive, one of the thyristors is fired with a predetermined delay. It starts conducting and the voltage of the DC link rises. There is lot more information on the report, so do check it out and use this report only for your reference. Thanks to below authors. Authors: Anuj Kaushal, Chirag Singhal, Devansh Omer, Najeeb Ansari, Ritesh Sati.